In Ephesians 5:25, husbands are directed to love their wives. In Titus 2:4, we are told that it is important that wives be taught to love their husbands and children. Does that not strike you as strange? Taught to love? “I thought,” says a young wife, “that you either felt it for him or you didn’t. 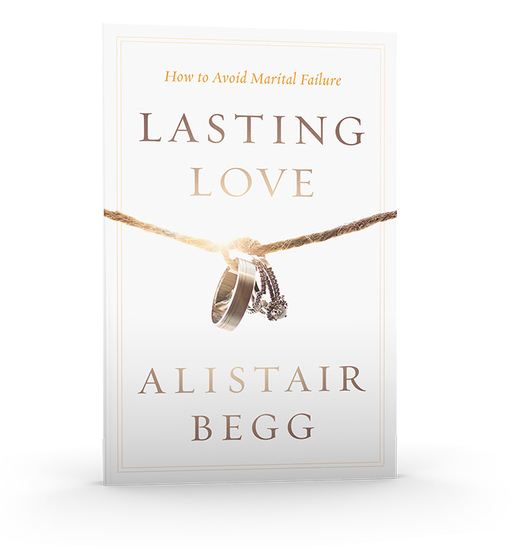 But I never ever considered being taught to love him.” This kind of response indicates how heavily we have come to rely on the notion of romantic love as the basis for our marriage relationship. That is why it is so important for a young woman who is struggling with this to have someone explain to her the huge difference between the superficial philosophy of marriage available at the checkout counter and the practical instruction of God’s Word. How liberating for her to understand that her feelings of frustration and emotional low tide are actually quite natural and have been experienced by many before her—and this will not be the last time she feels this way. It is difficult to overstate the necessity of partnership and mutual support between husband and wife in the establishing of these priorities. Barnes, writing in an earlier generation, said: “Mutual love between a husband and wife will diffuse comfort through the obscurest cottage of poverty, the want of it cannot be supplied by all that can be furnished in the palaces of the great.”2 It is surely never too late for a refresher course in the emotional, mental, spiritual, and physical aspects of married love. If a husband starts believing that his is the easier role in the marriage relationship, he should consider what it means to “love your wife, just as Christ loved the church.” While human men cannot match the degree of love Jesus displays (since His love is divine and infinite), they are to love in the same manner. Christ initiated love for the church, and His love remains constant regardless of the response He receives. Similarly, the husband has the responsibility of initiating, nurturing, and maintaining love within the marriage. The leadership vacuum within so many homes is largely due to the husband’s lack of initiative in providing love for his wife. In far too many cases the wife has assumed the initiating role, not because she wants the position, but because she is afraid that the car is about to careen off the road, since her husband has vacated the seat or has fallen asleep at the wheel. The love of a husband for his wife is also to be marked by sacrifice. Jesus gave Himself up for the church, not on the basis of the attractiveness of those who became the objects of His love, but on account of His grace. God loves because it is His nature to do so, and He has poured out His love into our hearts so that our love will be different from that of the world. Our culture perceives love in terms of a response to something regarded as attractive or meaningful. Love continues as long as those characteristics are in place, but fades with the loss of the physical appeal of the object or person. In contrast, Christian love is to extend far beyond the boundaries of appearance and personality. 1) Matthew Henry, Titus, An Exposition of the Several Epistles Contained in the New Testament (London: 1721), 334. 2) Albert Barnes, Notes, Explanatory and Practical on the Epistles of Paul to the Thessalonians, to Timothy, to Titus, and to Philemon (New York: Harper, 1849), 312.